An understanding of microbiology is essential for both medical students and newly qualified doctors, and is key knowledge for a working doctor. 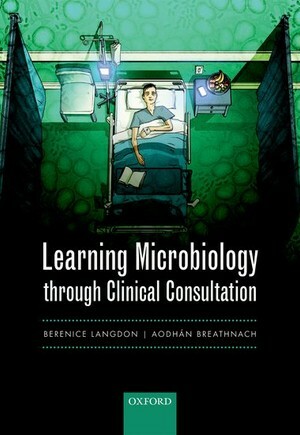 Learning Microbiology through Clinical Consultation introduces the subject with a wealth of life-like case scenarios, each linked with the relevant microbiology. Spanning 14 categories of infection, the cases within the book allow the reader to listen-in on clinical consultations with patients exhibiting an array of symptoms. Each case then describes the examination and the specimen taking techniques. The results of the samples taken in the story provide a clear link to the more technical information on microbiology which is then discussed. The structure of the book is laid out for easy navigation and has clear case-story headings to enable 'just in time learning' between patients, as well as 'just in case learning' when preparing for exams. Learning Microbiology through Clinical Consultation is a highly accessible text that describes the basic science of microbiology within the practice setting in an insightful and informative way. The material is presented in an integrated fashion and is therefore an ideal text for medical students on a systems-based or problem-based course, or for the newly qualified doctor looking to consolidate their knowledge. The text is well written, punctuated with humour and an easy read [...] The true gems, however, are the summary tables at the back of the book in the appendices, including a simple overview of commonly uses antibiotics, their mechanism of action, spectrum of activity and clinical uses.